An Internet sting conducted by the Utah Internet Crimes Against Children Task Force has resulted in the arrest of five people. The month long sting, which was called "intense", had been dubbed by authorities as "Operation April Fools" as the "joke was on Internet predators", said Attorney General Mark Shurtleff in a statement. 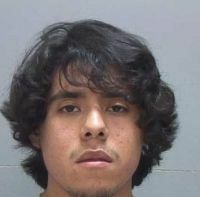 One of those arrested was 19-year-old Edwin Emmanual Rico, of Salt Lake City. His profile is viewable by clicking the photo above. The four others individuals apprehend did not either have MySpace profiles or I was unable to conclusively identify them as a suspect.